More and more of us are sharing photos of what we’ve made online. 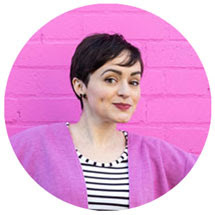 Maybe you write a blog, or are active on Instagram or Pinterest. 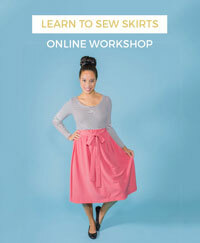 Maybe you occasionally submit pictures to a sewing group on Flickr, a contest on a website or a sewing social on Twitter. However you choose to go about it, taking and publishing photos of the things you’ve made is a great way of not only documenting your progress but also keeping you motivated to make stuff. 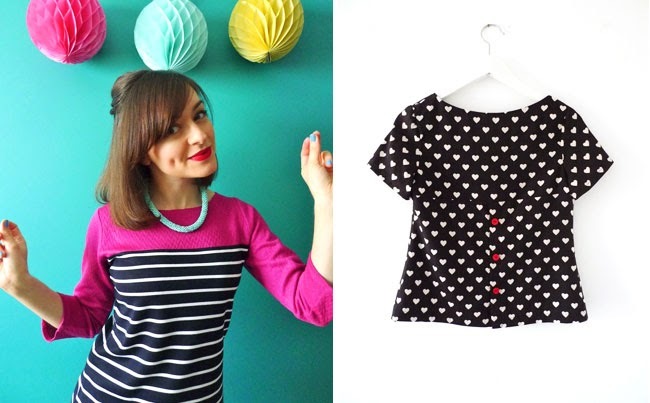 Plus, by adding to the online pool of sewing eye candy, you’re inspiring other people to get creative too! 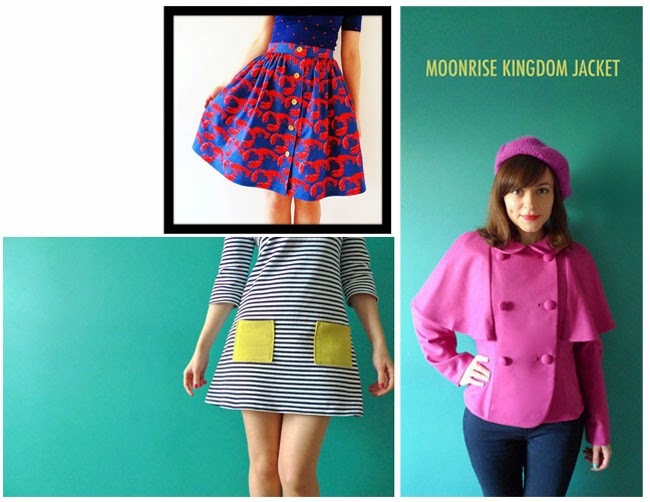 Today I thought I’d share some hints and tips on taking photos of your homemade clothes. Now, first off, a disclaimer. I don’t consider myself a particularly good photographer from a technical point of view. I love my camera (a Panasonic Lumix), but it's pretty much always set to the auto function. My brain begins to snooze at the mention of ISO levels and aperture f-stops. Yet despite my embarrassing lack of technical photography skills, I do feel that the photos I’ve published of my makes have improved over the years I’ve been blogging as I’ve picked up or worked out certain – simple, non-techy – tricks. So if you haven’t read your camera manual either (zzz…), these tips are for you. 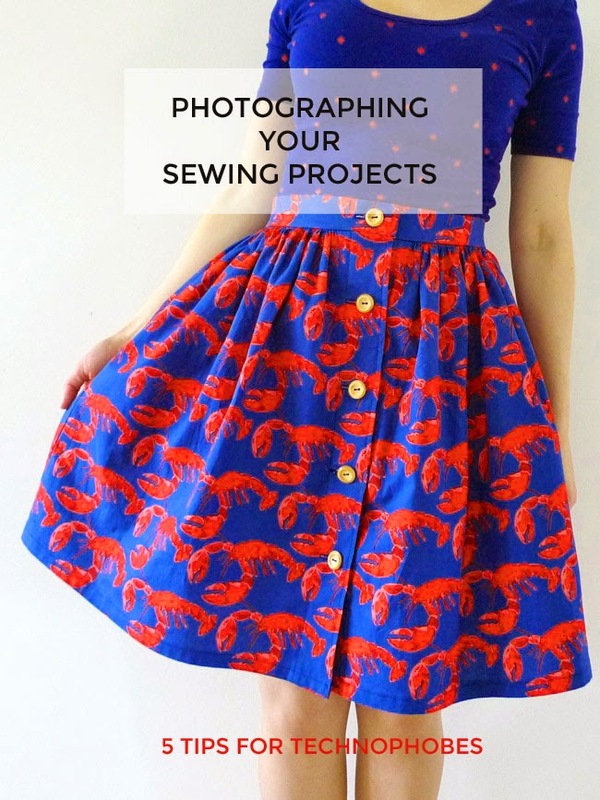 The kind of habits that anyone can put into practice that will make a world of difference to the photos you take of your sewing projects. The background that you choose – or create – for your photos is super important to ensure that the star of the show – your finished garment – is showcased in its full glory. Busy or messy backgrounds can distract the viewer from what you really want them to look at – your lovely homemade outfit. I like to photograph my makes against a plain wall. Sometimes it’s white, occasionally it’s slate grey, and a lot of the time it’s a gorgeous teal colour that complements the fabric and makes the finished photo pop. Now, you may be thinking, “But I don’t have a massive house with a huge blank wall!” Nor do I. I live in a flat that’s full of stuff. That teal wall? It’s in my kitchen, usually with a table in front of it and pictures hanging on the wall. When I take my blog photos, I move everything out of the way to create a nice blank canvas. I also remove any little distractions, such as wires in the corner of the frame, which can draw the eye away from the garment. It really is worth the effort of tidying up to ensure that the viewer is looking at your gorgeous homemade dress rather than the pile of washing in the corner. Lighting can make the world of difference to a photograph, but you don’t need to invest in a load of fancy kit. Harness the natural light of the sun to make your photos look gorgeous. Whether you’re photographing indoors or outdoors, get to know the times of day when there is enough light to take a decent shot but not so much that it creates harsh shadows. I photograph the vast majority of my makes indoors and know that the best time to take pictures in my home is mid-morning. Yep, it’s a bit inconvenient if I’ve finished sewing in the afternoon or evening and am desperate to write up a blog post straight away, but it’s definitely worth the wait to get decent light. 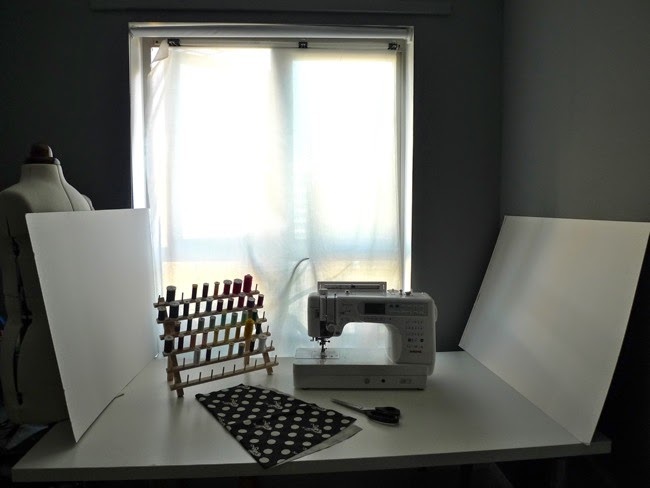 Sometimes I’ll use bulldog clips to hang a length of white cotton fabric over the window to soften harsh shadows. If I’m taking an “in progress” shot of my sewing on the table, or focusing on a small detail, I prop up larges piece of white card around the subject of the photo and hold another one against my body to bounce light into the area I want to shoot. This is a tip I learned from the designer who took the step photos in my book. In the illustration above you can see that my office has dark walls and glaring light, yet the white card trick will make the finished photo (of what's on the table) look just the right amount of bright and lovely. Easy to do, and I can see an immediate difference in the quality of the image. 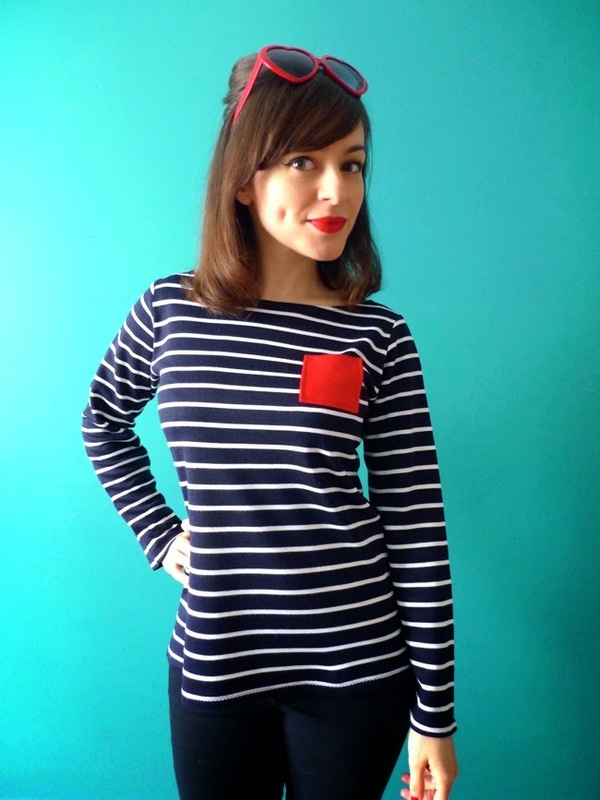 This is the bit that makes a lot of people feel awkward – modelling your garments. Me too. But just find what works for you and get into it. Embarrassed to have someone else take your photo? Get a tripod and take your own with your camera on self-timer – that’s what I do. Feel awkward? Put some music on that suits the mood you want in your photos and have a little disco. Music will animate your facial expressions! Don’t know how to pose? Play around with different positions and go with whatever makes you feel comfortable. You could also try holding a prop, such as a book or bunch of flowers, if that makes you feel more… erm… useful?! If you reeeeally hate having your photo taken, you can always just hang the garment on the wall or on a dress form. Personally I think these kinds of shots can look really cute. Where do you plan to share your photos? The answer to this question should inform what shape to make them. If you’re posting to your blog, you may choose to shoot mostly landscape format photos, or a combination of portrait and landscape. If you’re sharing pictures on Instagram, they will be cropped to a square shape so think about that when you choose how to frame the image. Twitter tends to crop photos somewhere around the middle when they show up in a feed, so I like to use landscape or square images here. As for Pinterest, the optimum platform for sharing gorgeous pictures of your homemade clothes IMHO, portrait photos work best. Pinterest displays photos at a fixed width but any length, so landscape pictures will get lost in the ocean of images. If you really want your picture to stand out, make it loooong. The size that you store your pictures in is also something to think about. If you write a blog, keeping your photos a consistent width can make your site look more professional. Large enough that you can see the details of a garment properly, but not so large a file size that they take forever to load. If you’re only sharing on Twitter, Instagram etc, smaller photos are fine – as long as you can clearly see the garment. If you’re hoping to get some press attention, it’s worth storing some high res versions of your best shots so they can be printed upon request. 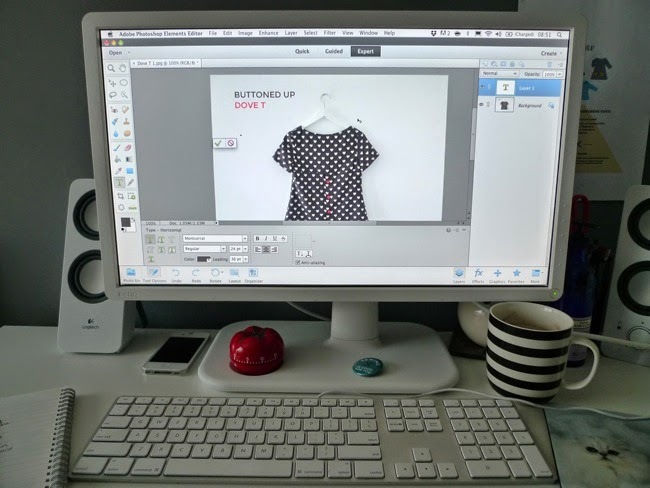 Before you publish your beautiful photos, it’s worth taking a few minutes to tweak them in an editing programme. I’m not advocating airbrushing your body here, but there’s no harm in retouching anything that looks out of place or distracting. For example, remember I said I take the pictures down from the kitchen wall before I take my photos? The nails that the pictures usually hang from get left behind, so I take a couple of seconds to retouch these random blobs out of the image, along with any random smudges on the walls (I’m not the only person with random smudges on my walls, am I?). You can also use an editing programme to brighten your photos, adjust the colours or even add text. I use a combination of iPhoto and Photoshop Elements, which is a cheap-and-simple version of Photoshop for people like me who wouldn’t know how to get the most out of the whole (more expensive) programme. You could also try using a free online site such as PicMonkey for collages and adding text, although I find that it compromises the quality of the image. I've promised myself that this Summer I will finally finish the Craftsy photography class that I'm half way through (which is great, by the way) and maybe even take a face-to-face photography workshop or one-to-one (any recommendations?). But, let's face it, I probably won't get round to reading my camera manual anytime soon. In the meantime, these tricks are helping me out and I hope you find them useful too. Do you have non-techy photography tips of your own to share?